Eggless Carrot Ranch Dressing is Vegan, Gluten-free, and Oil-Free. 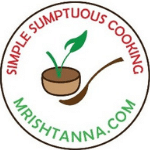 I am excited to share a refreshingly simple and unique recipe you cannot find anywhere. It is Eggless carrot ranch dressing with a full serving of carrots! What’s so exciting about the ranch, you may think. But before you go down that thought, let me just remind you that store-bought versions of ranch not only add tons of calories, they are made from buttermilk and on some occasions they also have eggs. That’s just not healthy for you or for the planet! Most of my friends were brought up eating bottled salad dressing. It’s just one of those convenience foods that we buy without putting much thought into it. So, when they decide to go vegan, they often find it difficult to find an able replacement for a ranch. Not anymore. Here’s a healthier AND cheaper version. Typically, ranch dressing is a combination of buttermilk, garlic, onion, mustard, herbs, and spices. Today, I am sharing a creamy version of a vegan ranch with steamed carrots and cashews. Not to mention, there is a mixture of spices and nutritional yeast that make it taste heavenly. 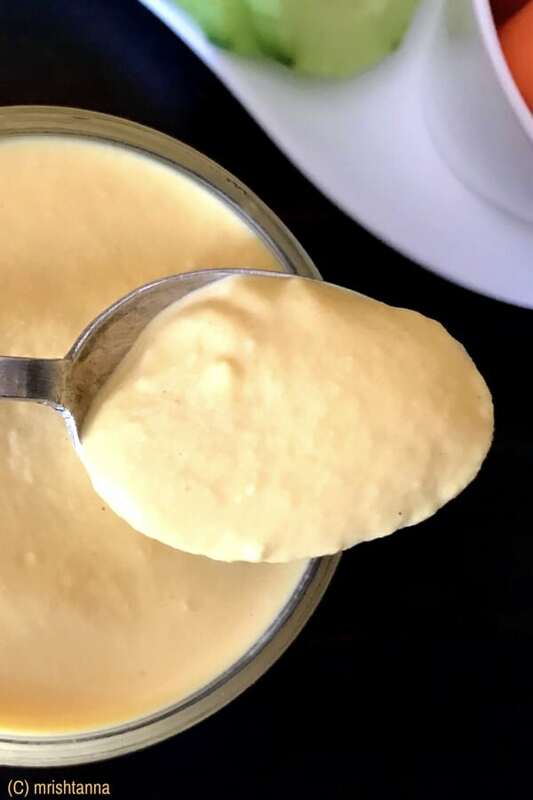 Almond milk and cashews take the place of buttermilk and they taste even better than any store-bought version. Notice that I mentioned steamed carrots and not raw carrots. Raw carrots do not give the texture you would expect in ranch dressing. If you enjoy vegan recipes such as this, get them directly in your inbox by subscribing to my newsletter. Just hit the subscribe button at the right. You will also get a copy of my e-book where I have put together some simple vegan dessert recipes and dessert essentials. My readers have found it very helpful and I am hoping you will too! 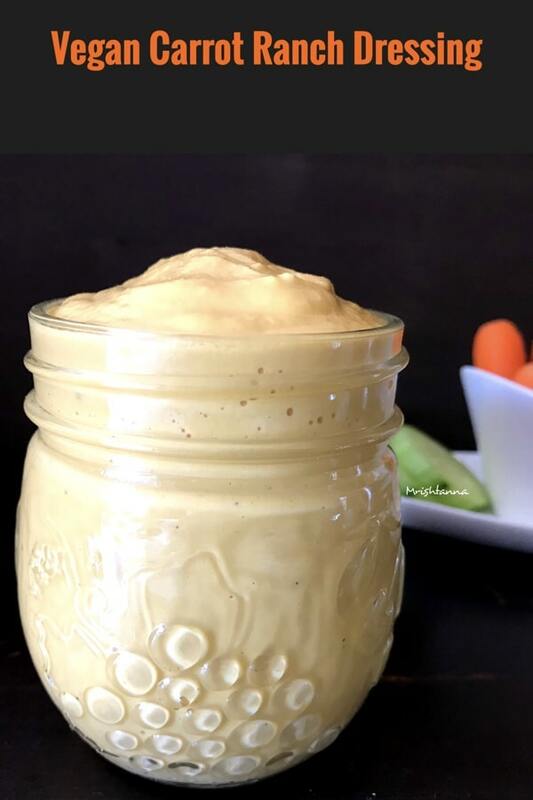 I am sharing a creamy version of the vegan ranch with steamed carrots and cashews. Not to mention, there is a mixture of spices and nutritional yeast that make it taste heavenly. Soak the cashews overnight or for 6 hours. Place them in a steamer and steam until they are tender. 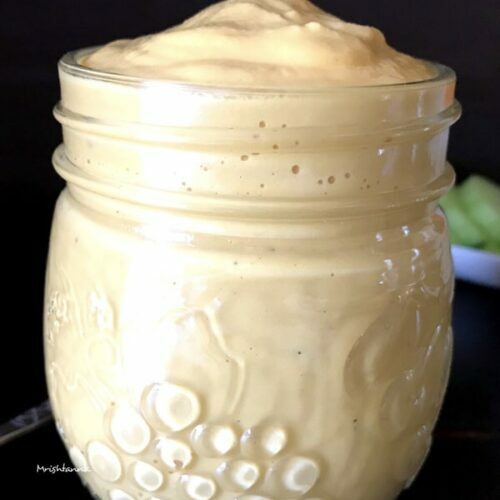 Drain all water from soaked cashews and blend them to a smooth and creamy consistency with the other ingredients: Nutritional yeast, Garlic powder, Salt, Turmeric, Mustard (Optional), Onion Powder, Apple Cider Vinegar, Almond Milk and Black pepper. That’s it! 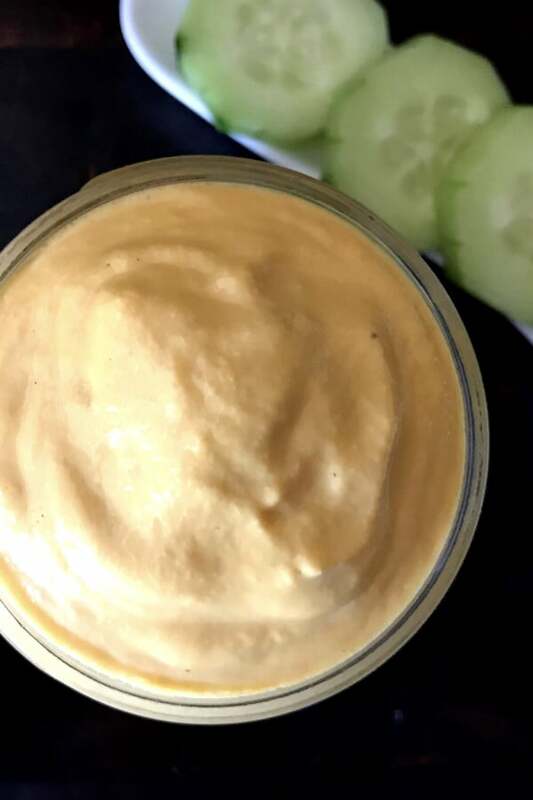 Eggless Carrot Ranch Dressing is ready! Don’t forget to save this for later. Wow this looks so good! I feel like this would go perfect with buffalo cauliflower wings. Anything with cashews in it is a winner for me! I love the addition of carrots. Yumm. I always love finding new vegan sauces. Thanks for this recipe. Same here 🙂 Thank you! I love carrots in my salad dressing, I’m already loving this ranch! That sounds delicious enough to just eat by the spoonful! Hi, this will long last for 2 to 3 weeks in refrigerator. Thank you!